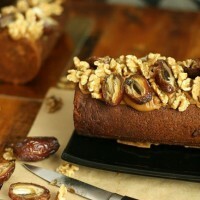 I love this Date and Walnut Roll……….. I’ve been making it for years. I love it made in this old fashioned round tin but you can make it in a loaf tin if you like. Cooking was not really one of the things that my Mother enjoyed. She felt it stole precious moments of her life. As an apprentice chef, a lot of my time was spent inventing and cooking and she often said that she couldn’t understand why people would spend so much time making food look nice when someone was just going to chew it up! We had a pressure cooker that she used a lot, many things hatched from this squealing aluminium vessel including beef or mince stews with peas and curried sausages. There was always mash and there was always peas. She made a great boiled fruit cake when absolutely necessary, and cheesecake with pineapple topping, a 70’s speciality from a packet if it became imperative to arrive somewhere with a “plate”. She was able to produce a Pavlova at new year or Christmas, but this required us all to be on our best behaviour, the house organised and quiet or she would be stressed beyond belief. We ( my older sister and I) began taking turns cooking dinner on a Friday night. We liked to cook things like pizza . Doughy crusts and lashings of meat and cheese. Just the way Australians used to eat Pizza, before we knew any better. I am sure this was a relief for her, but for the cook a towering pile of dishes needed to be done and we had to coax the younger siblings to help. This sometimes caused faction fighting , requiring her to intervene. Needless to say she never cooked a date and walnut loaf. This was the domain of my Aunt Pat, who baked all manner of goodies. She did do a version of this great date roll. When I found these roll tins , I was instantly reminded of eating slices of this cake spread thickly with butter. This recipe makes a great accompaniment to blue or washed rind cheeses . An idea for that can be found here from an earlier post. A fantastic recipe that can also be made in a loaf tin if you cant get hold of these old fashioned roll tins. The recipe fills two date roll tins. They need to be well sprayed or greased and floured. alternatively use a loaf tin. The entire recipe may not fit into 1 tin unless it is large. The mixture rises so 3/4 fill the tin. Combine the dates, sugar, butter and 250 ml (1 cup ) of water in a saucepan. Stir over a low heat till melted, without boiling. Remove from the heat and cool. Bake standing upright for 30-35 minutes. Cool before removing. Put the cream cheese into a mixer and beat till soft. Add the brown sugar and (vanilla) and beat till light. 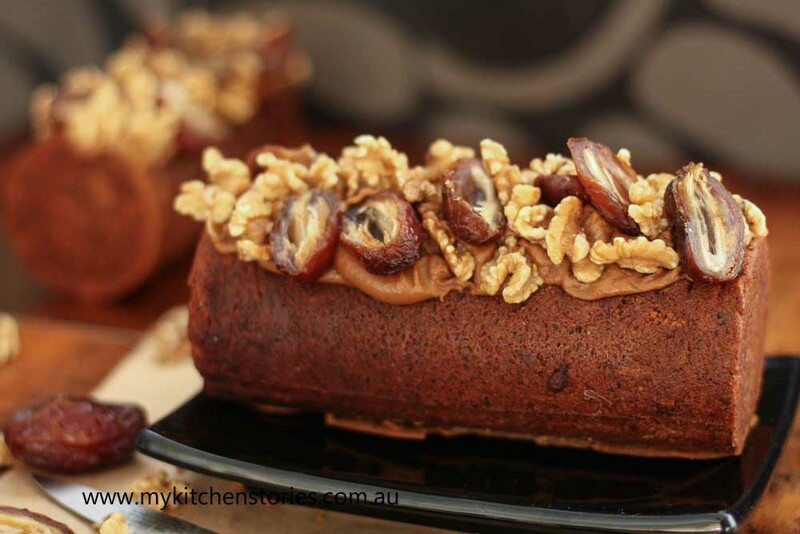 Split the icing between two loaves or spread over the 1.
Who likes date and walnut roll? 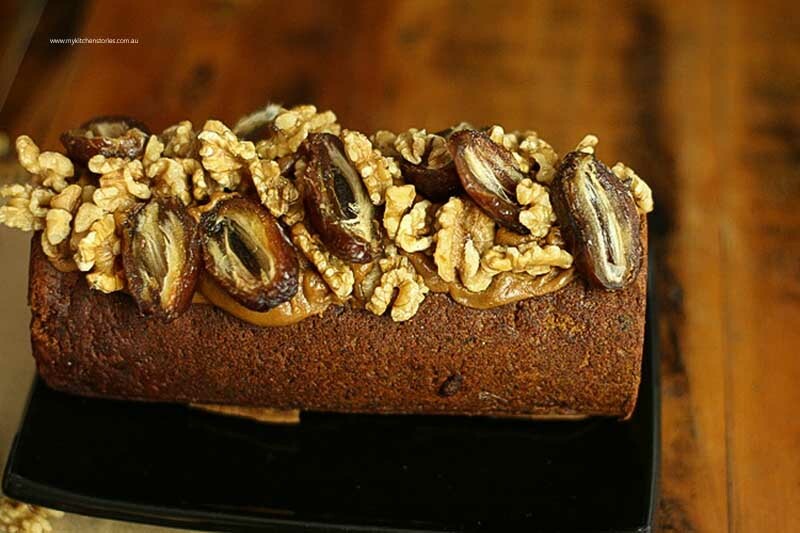 What kind of cake do you like…………… would you like to see a recipe for one of your favourites ?. Write me a comment and let me know.. I found date roll tins at a market not long ago! you have inspired me to drag them out and use them. Delish! go for it love to be helpful. you mentioned lashings of butter….. you got me can I have gulten free one ??? Your MIL must love having you around. Those with no aptitude for cooking love a person who can!!. Thanks for looking..
As one of your loyal readers, I could not but help note your comment asking readers to write for their favorite recipe. 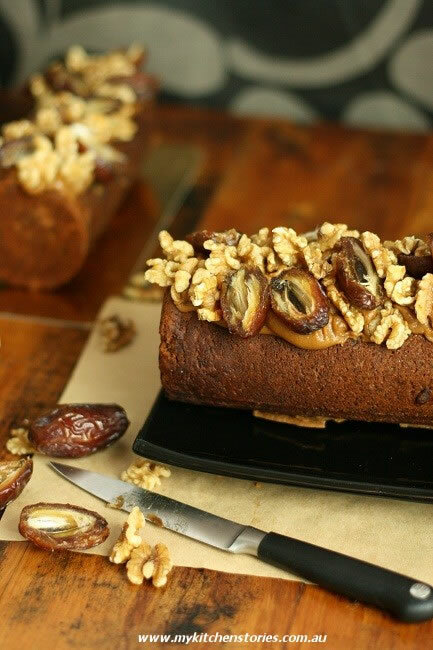 My childhood memories are always revoked when I think of …ginger cake……I was wondering if by chance you had a recipe for such and if you would be kind enough to include this in your wonderful kitchen stories ! Hi Tans… I love all your cakes. Especially the ones you throw together with odd ingredients. They are special as they are unique. Never to be reproduced exactly the same. Tania’s bespoke cakes are my fave. Also loved the post on The Camelot of M’Ville. I also know some people who have no aptitude for cooking but love to direct people in the kitchen! Now I need to find a way to deal with these type of people, obviously they love to eat too! I see, maybe you should get them busy making drinks instead! You know how to break down all my defensive system when it comes to the perfect cake- and lashings of butter…my accumulated fat around the hips and stomach have been the result of bloody good food though!!! well well worth it! Oh please if there is anyone out there who can tell me how to get 2 walnut and date loaf round cylinder tins please let me know! My mum used to make these all the time and I miss her and her cooking!? Hi Wendy. These roll tins can be hard to find. I did a little ringing around and found them at Chef and Cook in Mallet Street Camperdown, Sydney. Old fashioned Date and walnut roll. Is this recipe grams converted to US oz or English oz? or is it a US oz or English oz converted to grams?